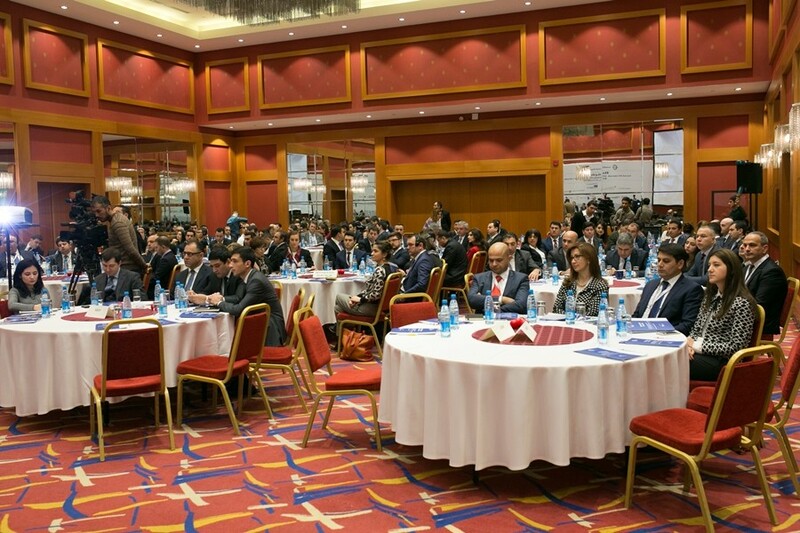 The Third International Banking Forum dedicated to "Cashless economy: transformation from traditional banking towards digital banking" organized by the Central Bank of the Republic of Azerbaijan, Financial Markets Supervisory Authority, Center for Analysis of Economic Reforms and Communication and Azerbaijan Banks Association was held on November 15-16, 2018. 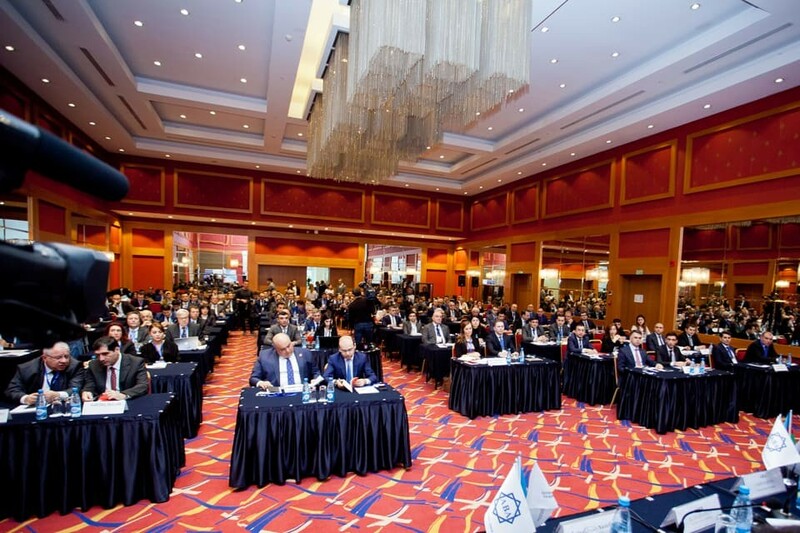 Representatives of more than 100 international organizations and distinguished companies from the US, Japan, Europe, China and CIS countries took part in the Forum. Among the participants and speakers we have representatives of such giant banks like “Citibank”, “Commerzbank AG”, “Raiffeisen Bank International AG”, “Standard Chartered Bank”, also representatives of such world renowned financial and technological companies as “Mastercard”, “Discover Financial Services”, “DinersClub”, “American Express”, “Samsung Pay”, “UnionPay”, “Ernst & Young”, “Deloitte”, “Moody’s Investors Service”, “PricewaterhouseCoopers LLP”, “Yandex.Money”, “SWIFT”, “Interbank Card Centre (BKM)” of Turkey, “BPC Banking Technologies”, “KOBIL Systems” and others. First Deputy Chairman of the Board of the Central Bank of the Republic of Azerbaijan Alim Guliyev opened the forum. Later, the president of the Azerbaijan Bank Association (IBA) Zakir Nuriyev, Acting chairman of the management board of the Financial Market Supervisory Authority Ibrahim Alishov, Executive Director of the Center for Analysis of Economic Reforms and Communication Vusal Gasimli, Director of the Institute of Economy of the Azerbaijan National Academy of Sciences Nazim Muzaffarli and Mastercard Country Director for Azerbaijan Erdem Çakar made a speech. In the Forum, which consists of three panels the panel discussion included topics such as "Transformation of Banking", "Automatisation of the AML/KYC Processes and Controls in Banks", "Judicial Regulation of Digital Banking and Judicial Risks". In the first panel of "Transformation of Banking" was discussed future of payment technologies, state program: strategic objectives, future challenges, omni-channel as a key to digital bank, cashless society, moments of trust, embedding innovation into core, the faster payment system in Russia, smart banking, processing solutions on the basis of TSYS, distant bank account opening, SamsungPay, compliance vs security, open banking, instant payments systems. On the second day of the forum, the second part of the forum ("Automatisation of the AML/KYC Processes and Controls in Banks") and third (Judicial Regulation of Digital Banking and Judicial Risks) KYC registry & sanction screening, embargo policy, GDPR, digital future of financial system, digital future of the finances, judicial basis of digital (electron) transactions, electronic signature, FATCA and CSR, electronic bailiffs system presentations on topics were held. 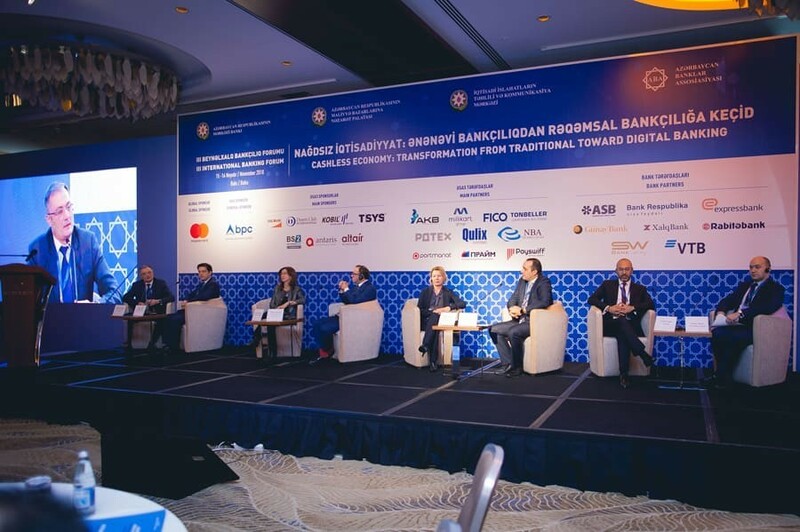 It should be noted that the International Banking Forum is held every November in Baku since 2016. The purpose of the forum is to provide stakeholders with a platform for monitoring and debating global, regional and country trends in banking, as well as identifying new challenges and presenting platform to discover solutions.